Founded through the grassroots efforts of hundreds of longshore workers and sustained ever since through the efforts of the labor movement, the Harry Bridges Center for Labor Studies is truly a community institution. Whether you are a student or community member, there are multiple avenues to get involved with the Bridges Center and the labor movement. Here are a few suggestions. Take a Labor Studies Class. 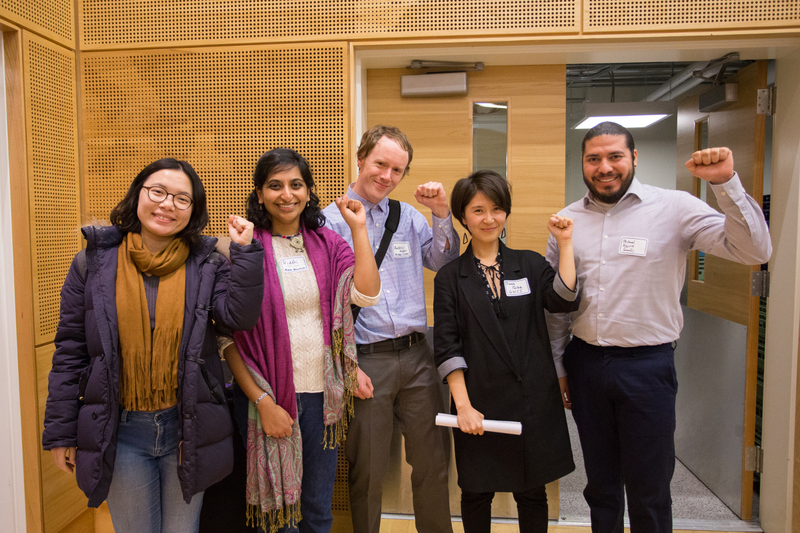 For University of Washington students, the Labor Studies Minor brings together dozens of classes in departments across the social sciences touching on issues of work and working people. Apply for Funding. Thousands of dollars in scholarships and grants are awarded to students in Labor Studies every year by the Bridges Center. Consider an Internship. The Bridges Center can help you find and arrange an internship with a union or other labor organization, often for college credit. Join a Student Group. The University of Washington is home to some of the most dynamic and active student-based social justice groups in the nation. Join Our E-mail List. Sign up to receive updates from the Bridges Center through our monthly e-mail newsletter, Labor Talks. Engage on Social Media. You'll find us on Facebook and Twitter. Make a Donation. Your gift directly supports the next generation of activists and scholars. Attend our annual banquet or donate on-line. All gifts are tax-deductible.